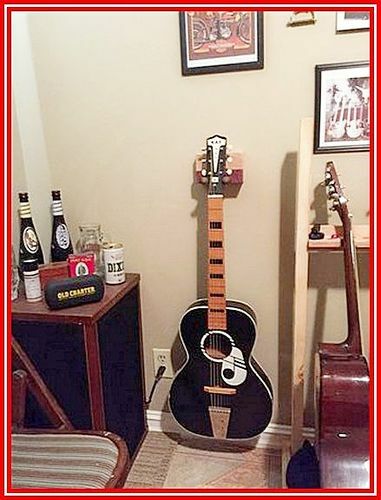 This is a very plain guitar wall hanger made of cedar and walnut. i think you owe rick a thank you for fixing your neck straining pics! welcome to lumber jocks just learn how to post em straight. You did a real nice job on the hanger. BTW, that’s a beautiful guitar. 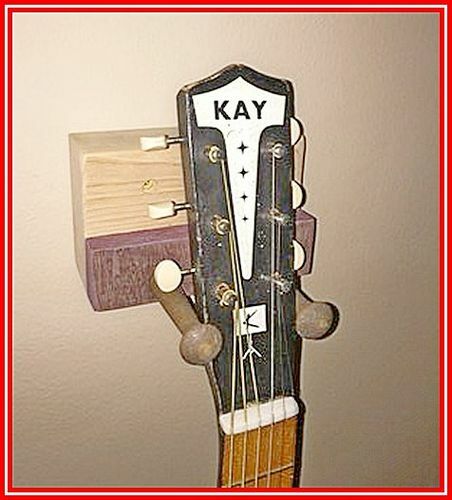 It is a Kay k1160 from the mid 60,s that I got from my dad.